2019 is going to be filled with some pretty amazing festivals you’ll want to add to any upcoming road trips, and the latest one to join that list is the Welcome to Rockville festival, held in Jacksonville, Florida. 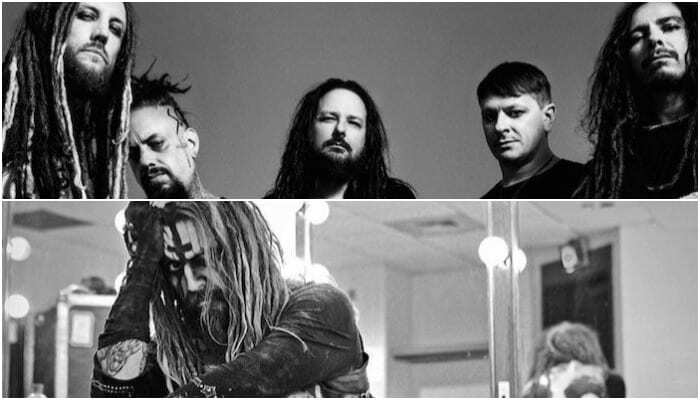 Rob Zombie, Korn, Tool, Bring Me The Horizon and more were announced for the annual festival. This lineup is stacked, and you can check out the full lineup (and the days they’re playing) below! Welcome to Rockville will span over the course of three days, May 3 to May 5, 2019, and it is slated to be held at Metropolitan Park in Jacksonville, Florida. In addition to the previously mentioned bands, other performers include the Prodigy, Shinedown, Incubus, Judas Priest, Evanescence, Flogging Molly, Papa Roach, Engage, Architects, the Fever 333, Skillet, In This Moment, Circa Survive, Black Label Society, Hands Like Houses, Beartooth, Boston Manor, Issues, Wage War, The Struts, Meshuggah, Chevelle, While She Sleeps, Grandson, Movements, the Damned Things and more! VIP packages and tickets for the upcoming festival are set to go on sale this Friday, Dec. 7 at noon ET. To get your tickets, and for further information, you can go here! Check out the full list of bands below! Florida’s biggest rock n roll party just got bigger! 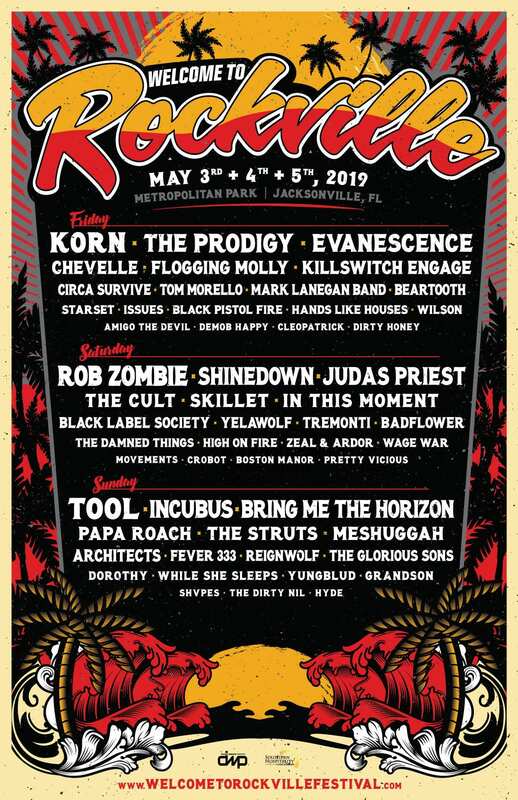 Welcome to Rockville lineup features @Tool @Korn @RobZombie @the_prodigy @Shinedown @IncubusBand @evanescence @bmthofficial and MANY more. Yeah, we can’t get over this lineup. Who are you most excited to see in 2019’s Welcome to Rockville festival? Let us know by sounding off in the comments below!